Our Challenge is our Opportunity! 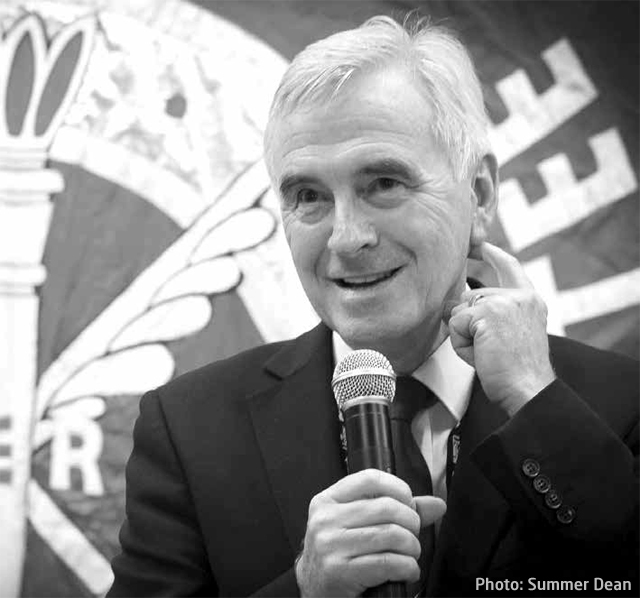 I RECENTLY GAVE A SPEECH AT IMPERIAL COLLEGE LONDON in which I outlined Labour’s New Economic plan – our long term and sustainable alternative to the Conservatives’ narrow austerity dogma, which risks placing the future health of our economy in jeopardy. The state of the economy, the changing world of work, and the new technologies available to us, caused me to reflect on my own experiences of work and the technological revolution of the time. Looking back at it now, I think about the possibilities available to us then. There were skilled jobs available for the millions who, like me, didn’t go straight to university. There was generous access to courses at local FE colleges and free education for those who did go to university. On modest means, a young person could buy a house. After all the advances we have made, I find it frankly amazing that so many things that we took for granted back then are likely to be unattainable for future generations. Wages for the under-30s have been decimated since the financial crisis, and are still 10% below their 2010 level. Indeed, this government seems engaged in an all-out assault on the young. Not only is “generation rent” being frozen out of the housing market, with home ownership in many parts of the country out of the reach of the millions whose parents are unable to help with a deposit, the government is now restricting Housing Benefit for young people. Meanwhile, social housing is almost a distant memory, and the insecurity of private renting means upheaval and uncertainty for a majority. We live in a society increasingly characterised by instability, insecurity and a pervasive sense of flux. It was this new and, in many ways, inimical landscape that formed the backdrop to Jeremy Corbyn’s election as Labour leader. Jeremy was elected leader of the Labour Party by an overwhelming majority of members and supporters on the basis of a programme that rested on three pillars. Second, a New Economics, laying the economic foundations for a prosperous, fairer and sustainable society. The good society that I think most of us envisage is one that is free, democratic, prosperous, environmentally sustainable, safe and secure, and based upon the values of fairness, equality and social justice. It is a society in which everybody has the ability to develop their talents and enjoyment of life to the full. Given the travails of life in Tory Britain, it is not surprising that this vision had such broad appeal. But how do we realise it? This is the question that I, and the Labour Party, have to answer. Unlike the Tories, a Labour government would not fall into the trap of short-termism. We would meet the challenges of the future by harnessing the technological opportunities of the present. The UK has so much untapped potential. At the moment we are failing to invest in the skills and technologies that will create the secure, high-wage, productive economy that we want and need if we are to prosper in the long term. Meeting the challenges of the future requires a state that can think and act strategically. We need to ensure that we exploit the opportunities available to us in a way that creates, and does not restrict, opportunities for workers. To facilitate this, we must re-establish a system of worker participation in management, and rethink our corporate tax regime to give businesses an incentive to invest wisely. A Labour government would also work to meet the EU target of spending 3% of GDP on Research and Development by 2030. Modern Britain can be a challenging place. But a challenge is also an opportunity. If we are to create the prosperous and fair society we all wish to see, it is an opportunity we must have the courage to grasp. This entry was posted in McDonnell and tagged economy, Labour Party, McDonnell. Bookmark the permalink. 1 Response to Our Challenge is our Opportunity!